Khalid will bring his Free Spirit World Tour to the UK & Ireland during the autumn of 2019. The US singer-songwriter will play arena shows in London, Glasgow, Birmingham, Leeds, Dublin and Belfast in September. How to buy Khalid tickets? 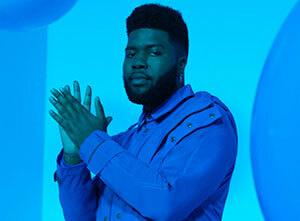 Tickets for Khalid's 2019 UK tour dates went on general sale on Friday 12th April, priced from £35 plus fees, at Ticketmaster.co.uk.